With “V” from last week’s exciting V for Vendetta Talking Action Figure Giveaway having made his way into the hands of one lucky contestant, we have decided to stick with the comic book film theme and are happy announce this week’s Sin City giveaway. In a city supersaturated with vice and depravity, heroic deeds aren’t always laid out in black and white. Within the chapter “The Hard Goodbye,” adapted from Frank Miller’s comic, we find justice will ultimately be served… one way or another! 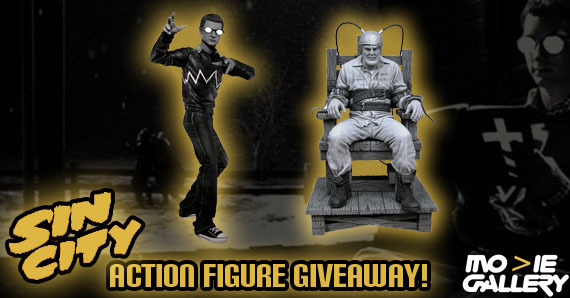 Continue on to learn how you can win two figures based on characters from the film! 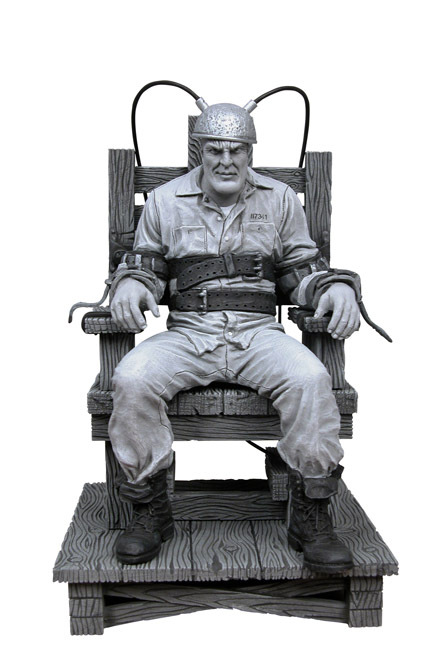 Comes with chair, wired helmet, floorboards, electrocuting switch and interchangeable heads, including a transparent skull that illuminates when the juice surges. The young cannibalistic ward of the vile Cardinal Roark, Kevin doesn’t just eat the bodies of his victims, he eats their souls. 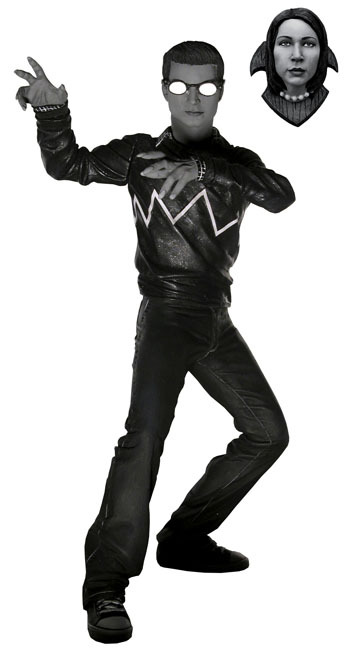 Released in 2005 as a Comic Con exclusive, Kevin stands approximately 7″ and includes white glasses and “victim head” that were not included with the original figure. This rare prize also includes Kevin’s sledgehammer and a set of interchangeable hands. This entry was posted in Contests & Giveaways and tagged giveaways, sin city, sin city giveaway by mgadmin. Bookmark the permalink.